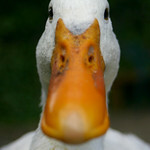 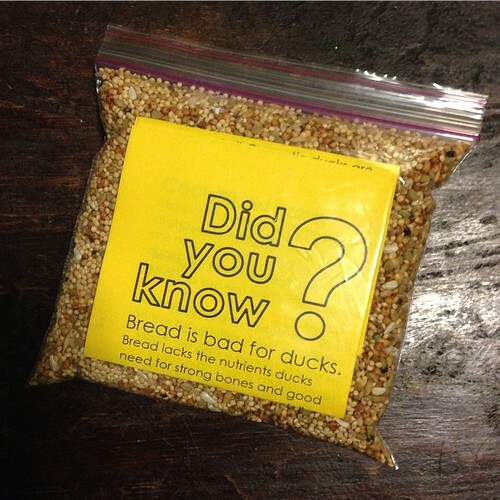 This spring, we’ll be handing out packets of healthy duck treats to anyone feeding bread to ducks in the local parks. 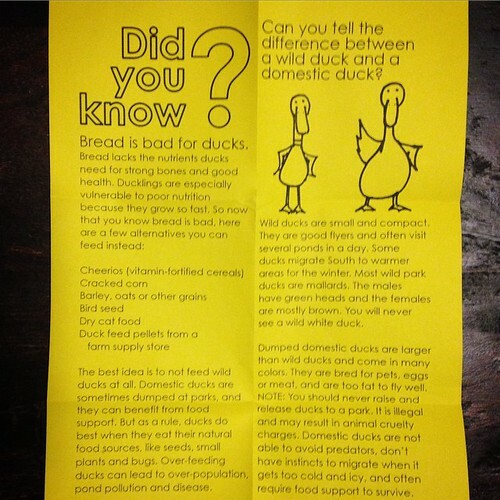 The packets will contain cracked corn along with a pamphlet with lots of fun duck info on it, including information on wild v. domestic ducks and suggestions for being good wildlife stewards in public parks. 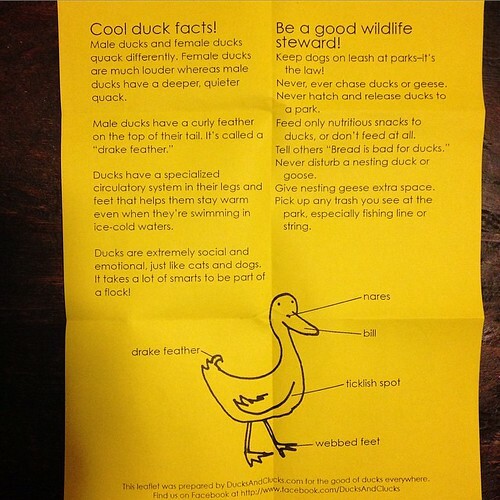 There’s even a duck diagram and some interesting factoids about ducks.